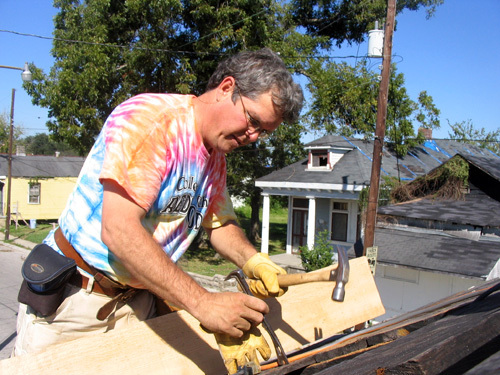 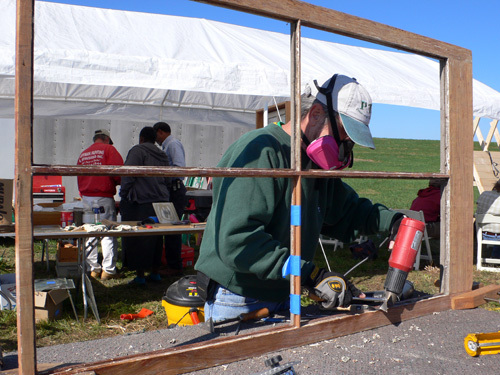 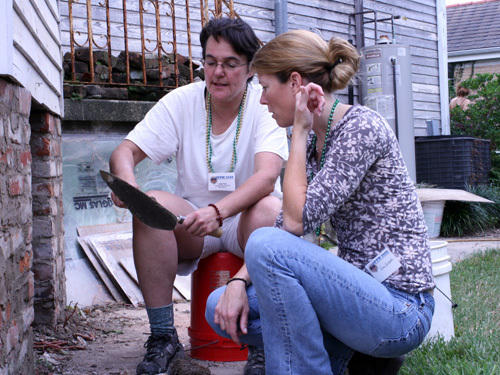 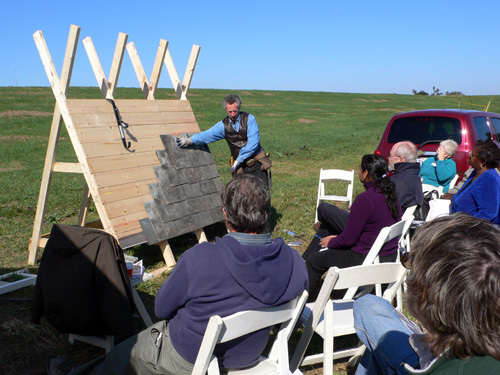 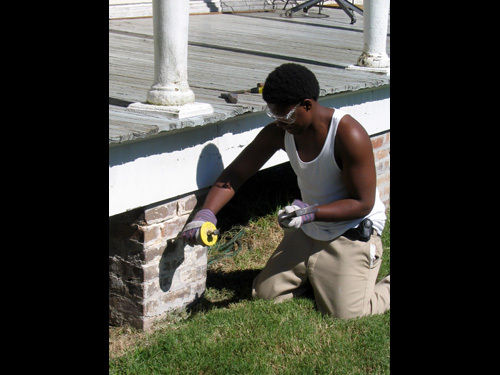 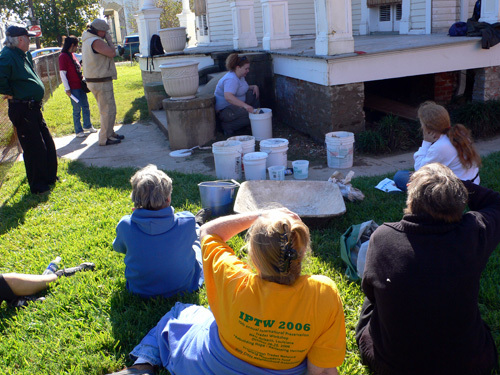 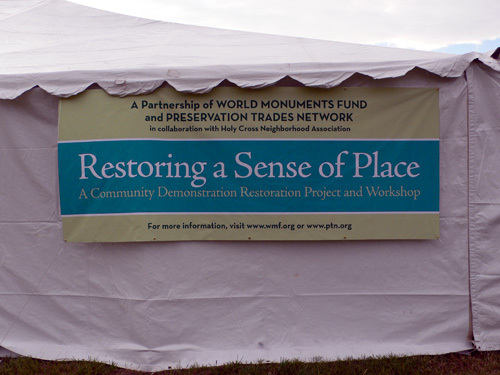 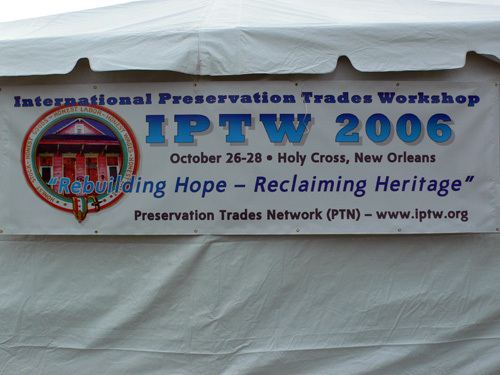 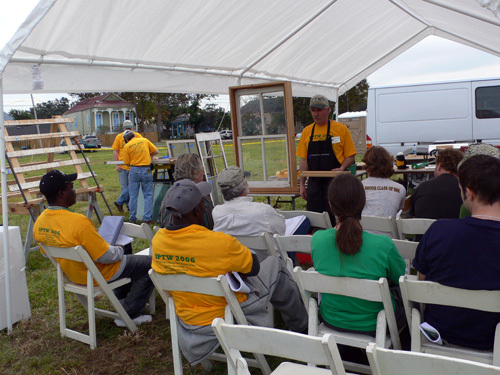 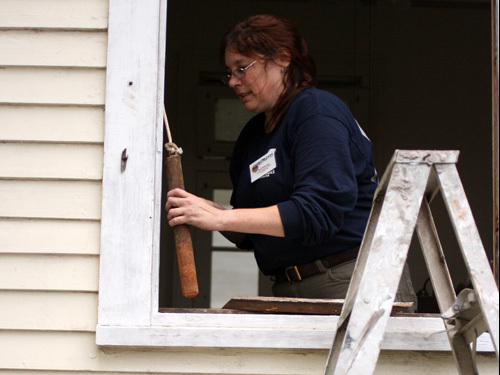 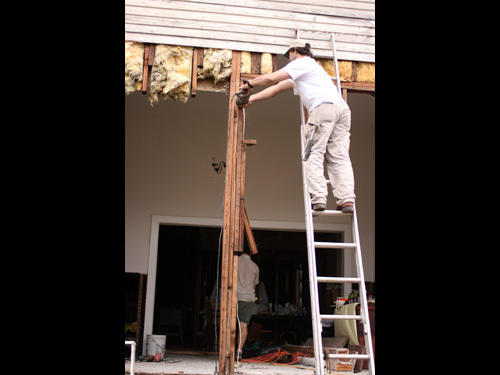 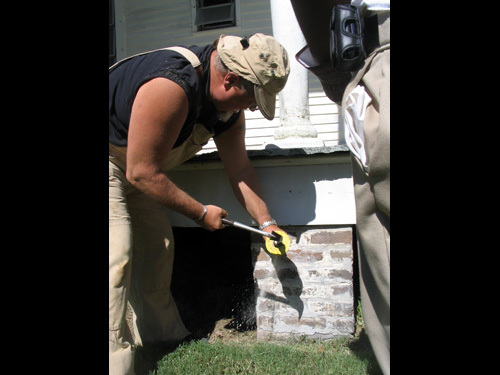 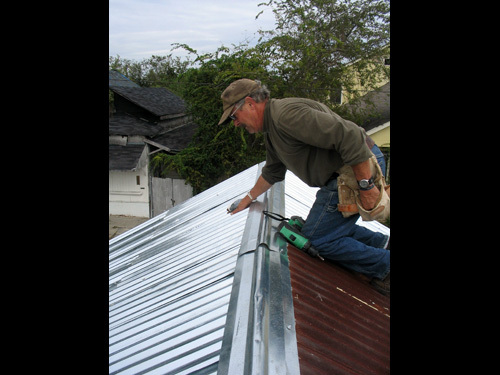 The 10th annual International Preservation Trades Workshop was as different from other IPTW’s as New Orleans is unique among American cities. 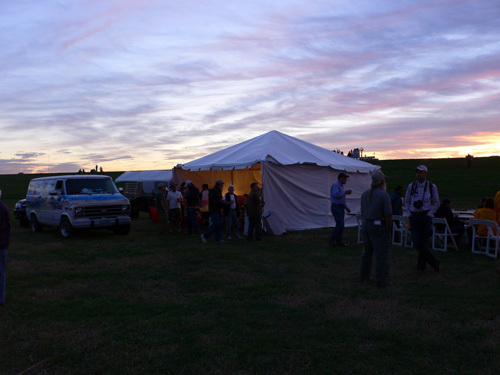 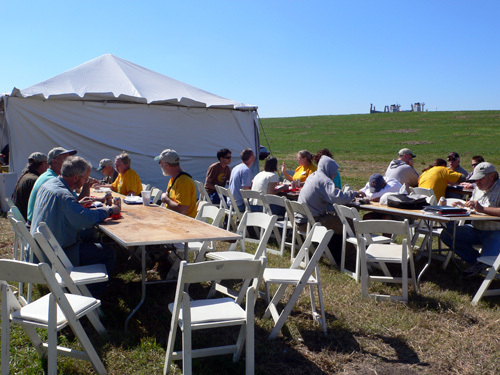 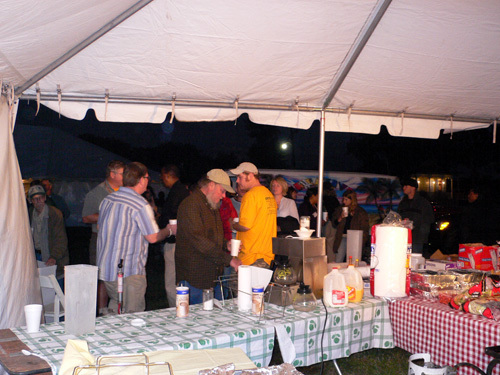 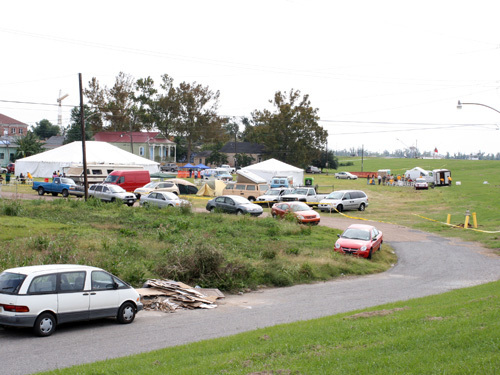 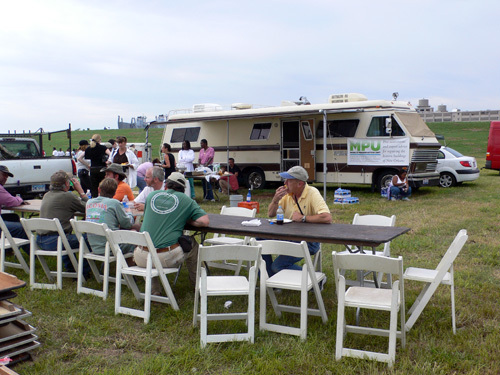 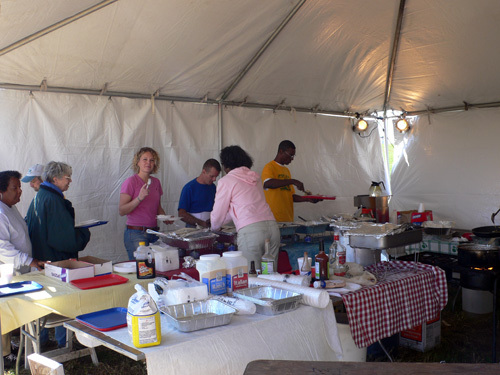 From the smell of Cajun cooking in the air, to the sight of ships passing along the levee above the main event location, it was clear that this was no ordinary venue when IPTW 2006 came to the Holy Cross Neighborhood of New Orleans’ Lower Ninth Ward, October 26-28th, with the theme "Rebuilding Hope and Reclaiming Heritage". 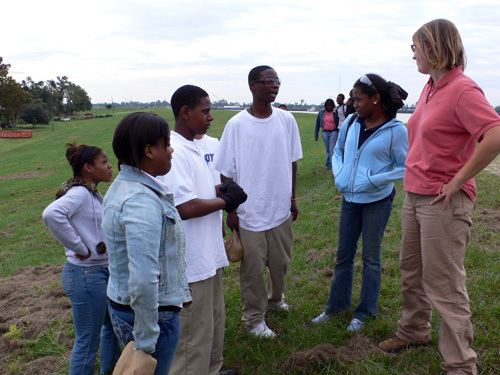 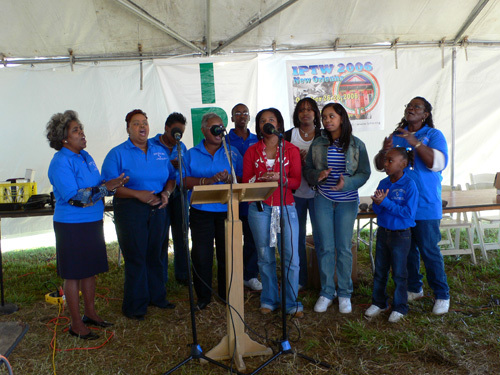 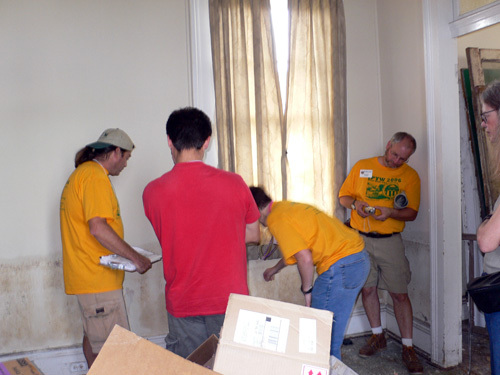 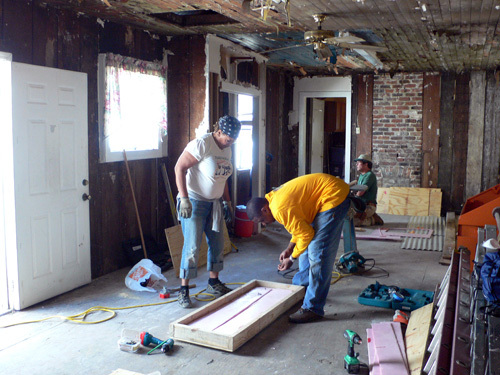 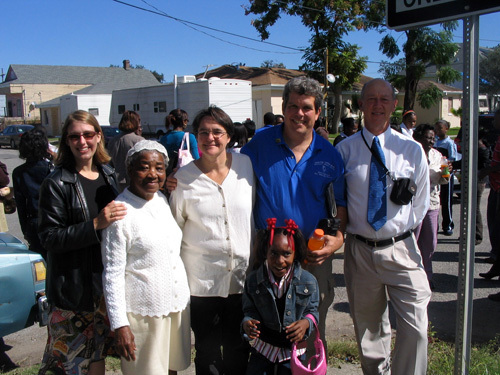 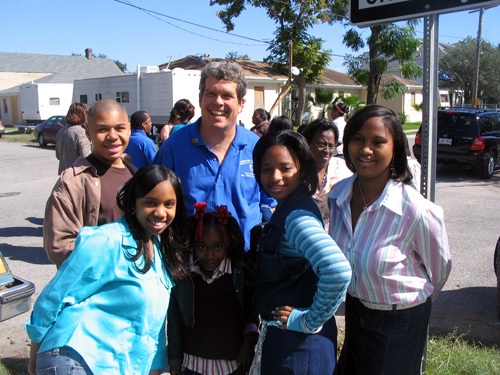 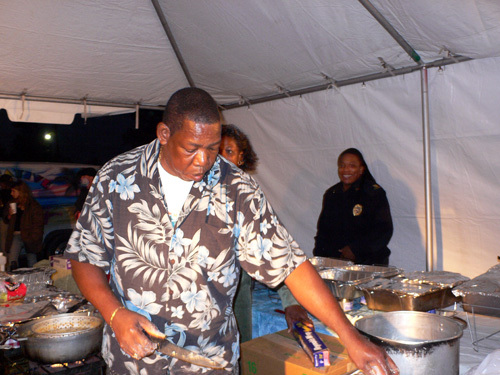 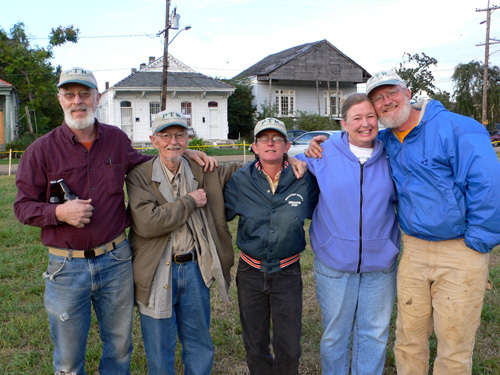 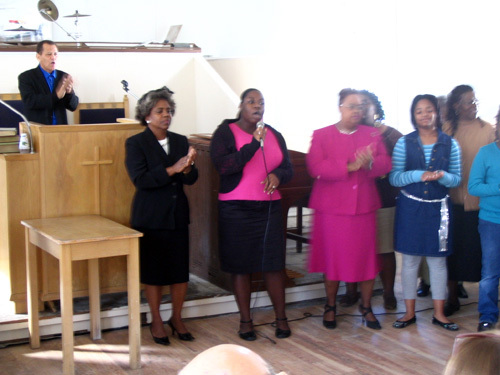 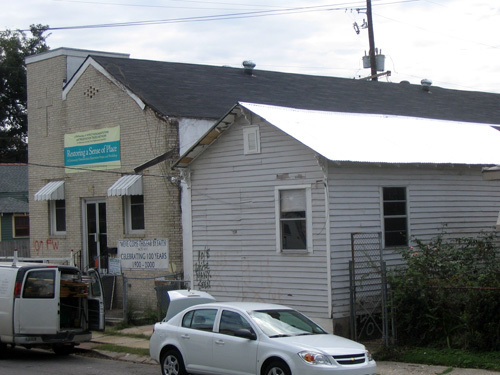 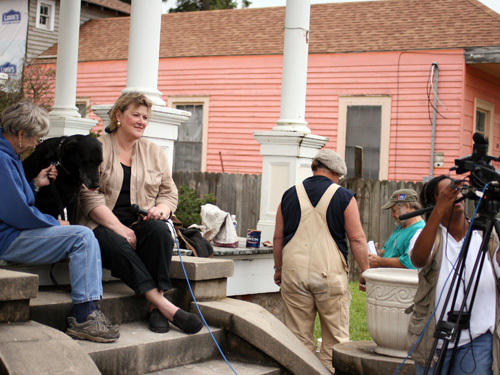 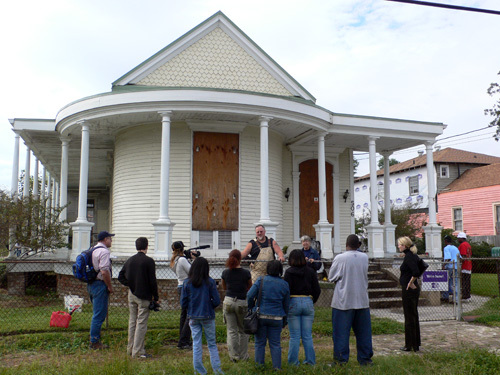 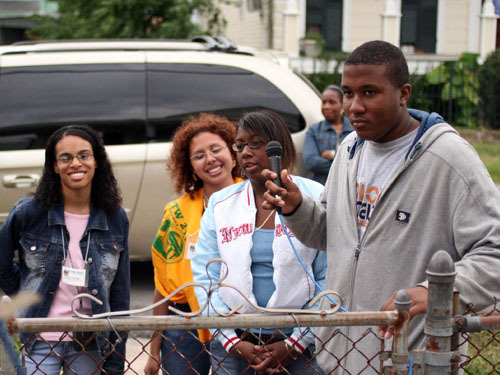 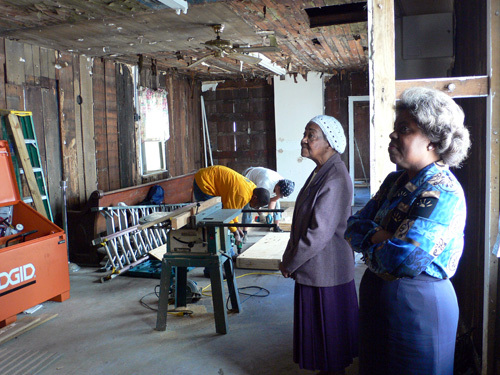 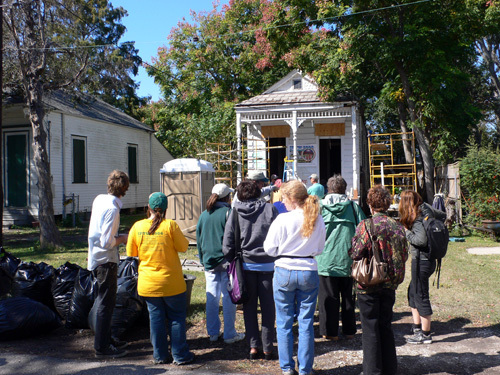 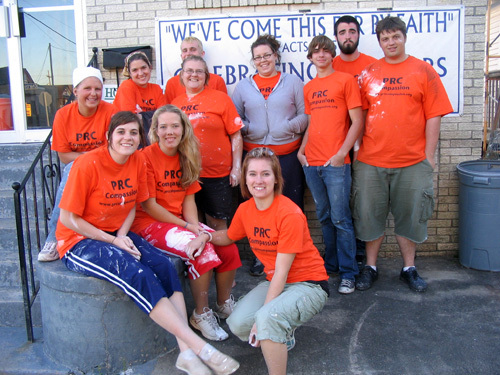 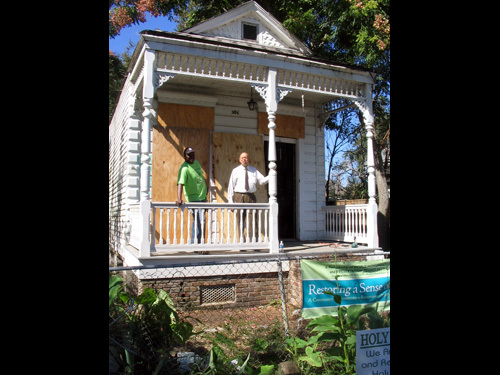 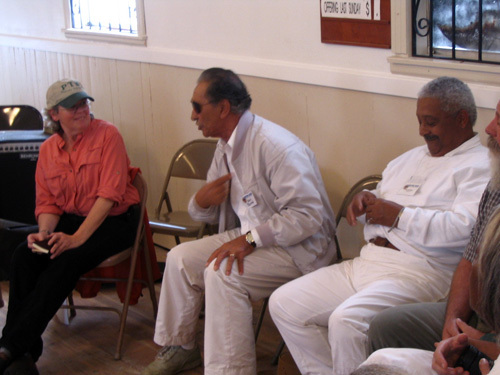 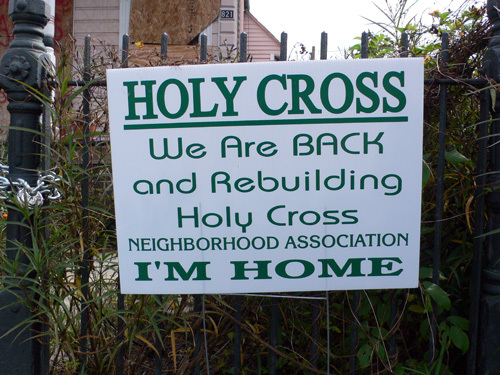 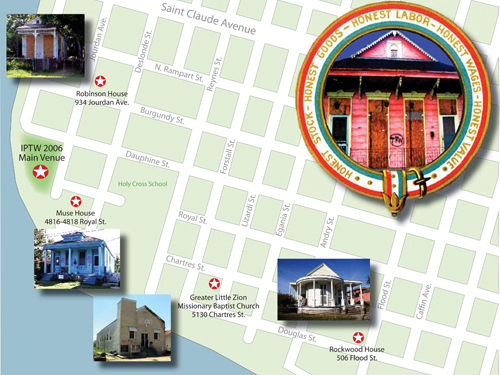 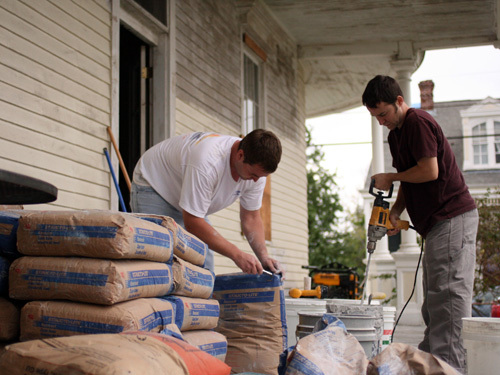 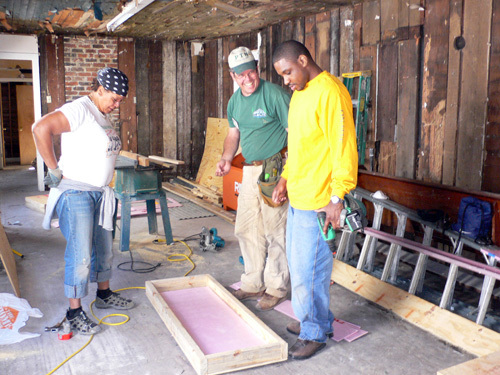 Since Hurricane Katrina devastated the historic neighborhoods of New Orleans, PTN has been working with the World Monuments Fund, and our local partner the Holy Cross Neighborhood Association to help local residents rebuild and return home through initiatives like the Mobile Preservation Unit, and repair demonstration project at the Greater Little Zion Missionary Baptist Church. 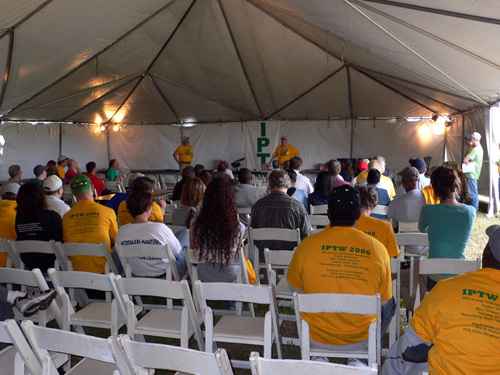 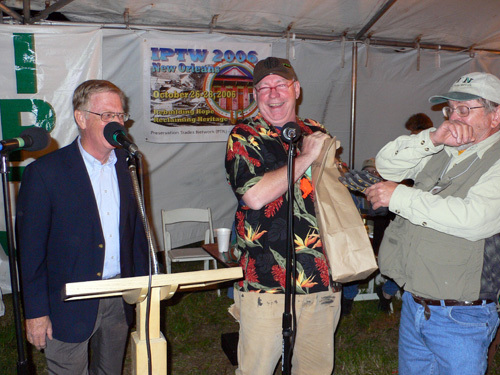 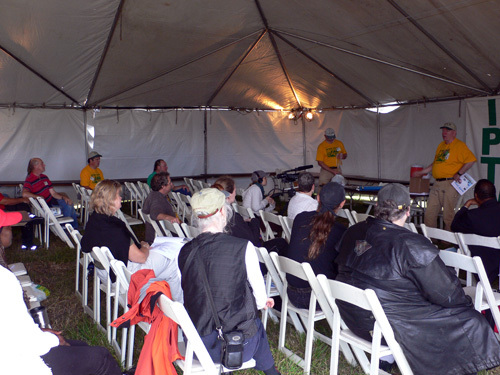 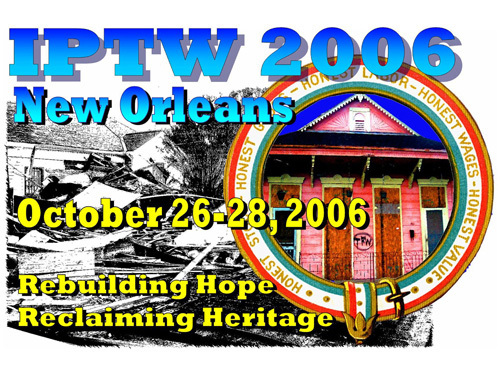 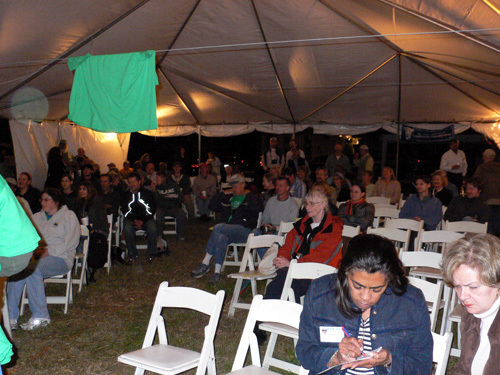 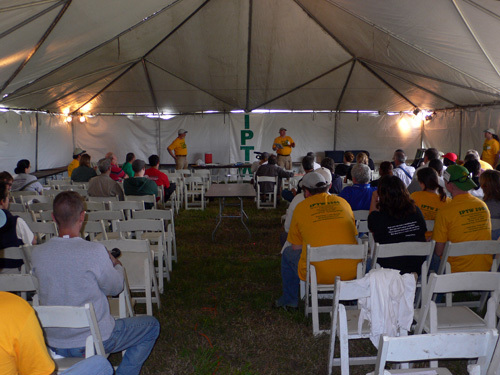 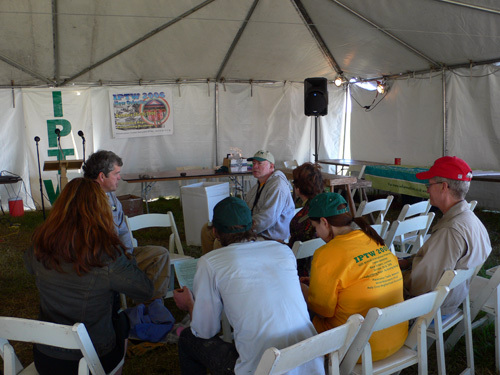 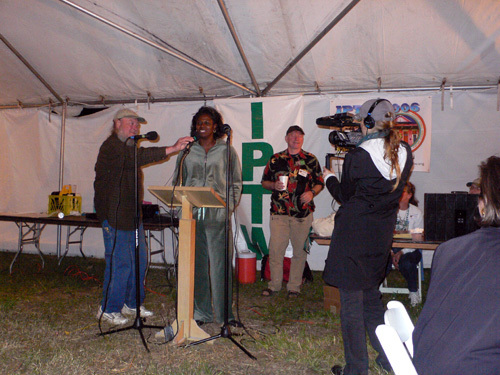 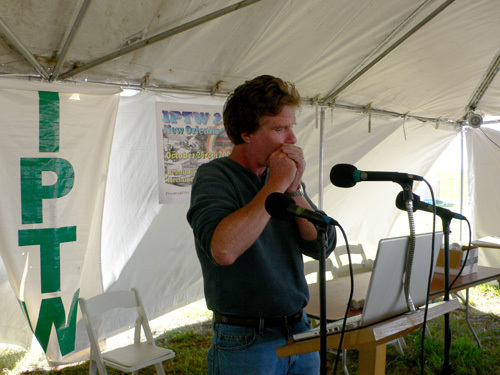 IPTW 2006 took this to a new level, by waiving the usual workshop registration fee and inviting all to join us in an open workshop setting designed to promote learning and sharing the knowledge of the trades for all who care about restoring these communities. 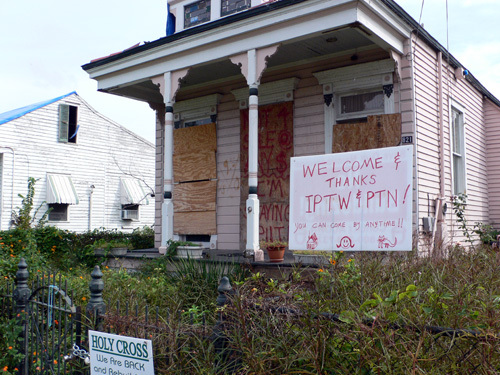 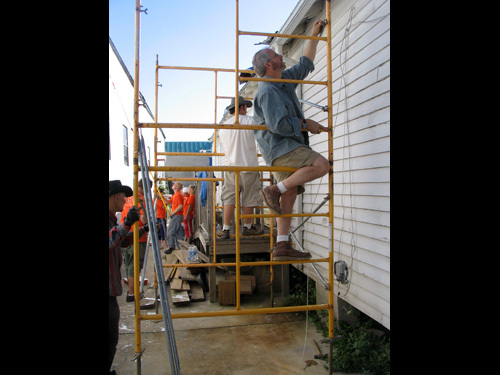 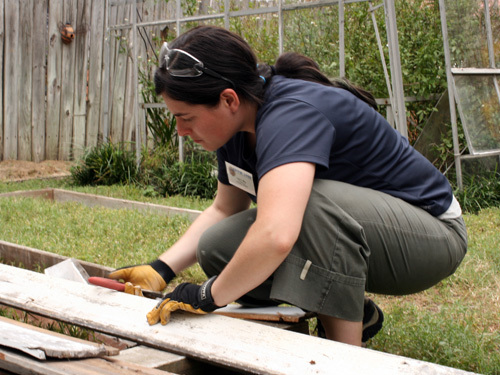 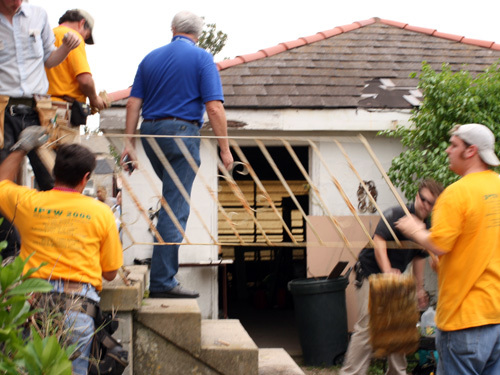 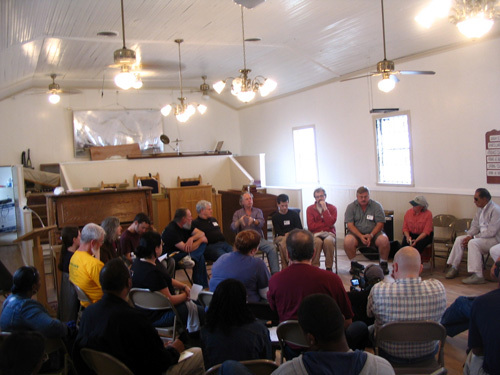 In response, more than one hundred members of the PTN community from 26 states, and as far as Scotland, Canada and Sweden, came to New Orleans to work and learn side by side with local residents on four demonstration repair projects in Holy Cross. 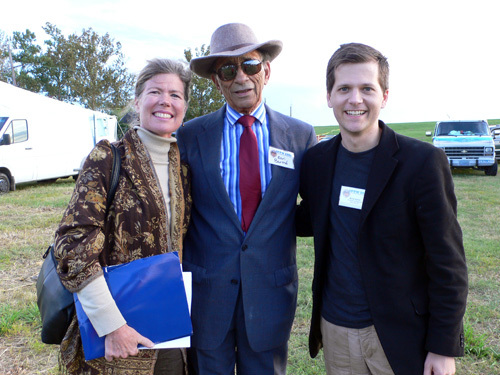 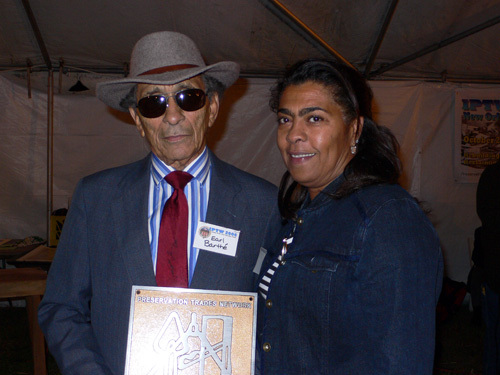 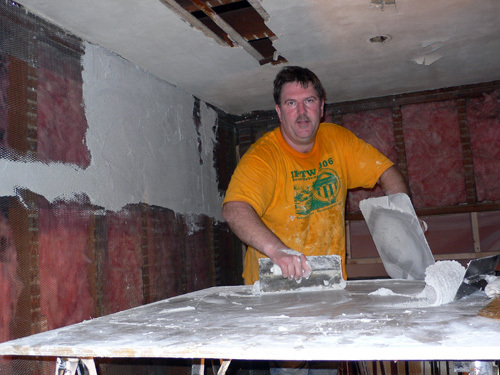 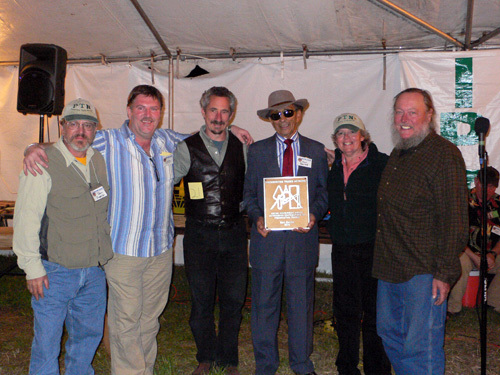 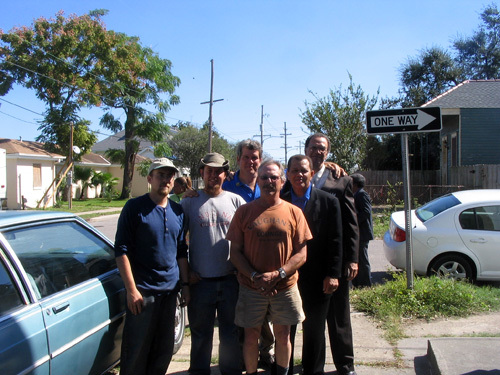 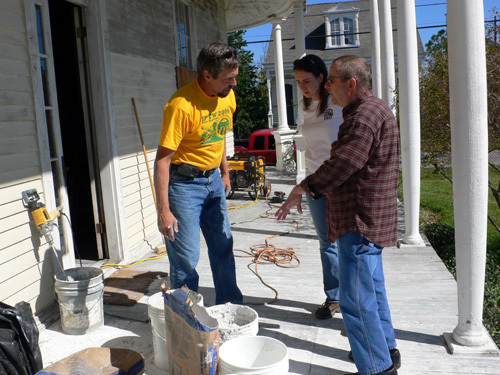 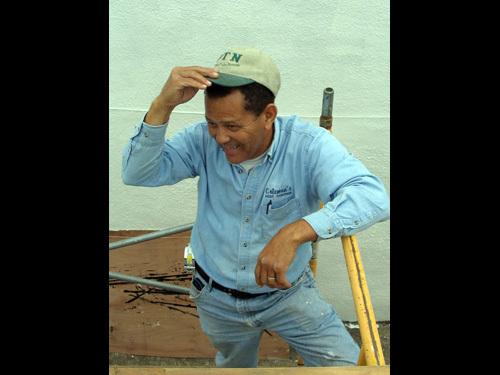 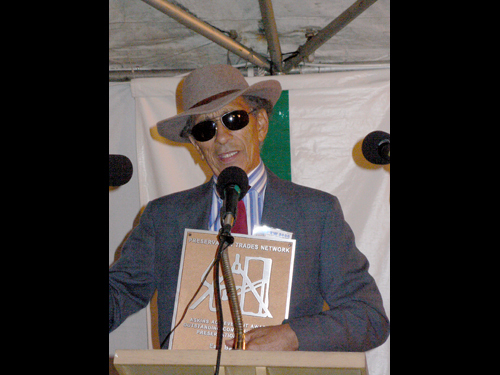 The 2006 recipient of the Askins Achievement award was Earl Barthé, a 5th generation plasterer whose great-great-grandfather, a master plasterer from Nice, France, settled in New Orleans in the mid-1800s and established a family business that is still in operation today.